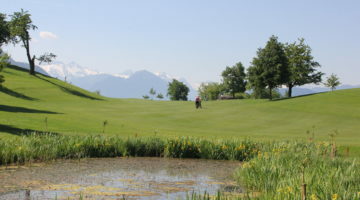 The 9-hole Axenstein course in Morschach is 2,300 feet above sea level set on a natural terrace above Lake Lucerne and was built in 1922. From here, one can see the beautiful surrounding mountains in their true perspective. 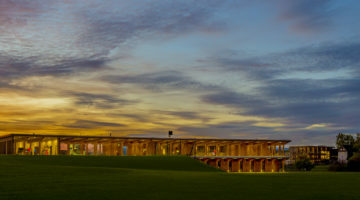 There’s so much to discover during a golf-panorama experience here. The course is not overly long, but the many elevation changes demand a sporting and technical performance. 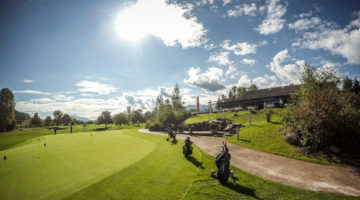 If you want to play a relaxing round of golf with spectacular views, you couldn’t do better than come to the Axenstein Golf Club. Tee boxes, bunkers, chipping, pitching, putting green.